The year 2015 is well on its way and everyone is back at work and children are back at school. 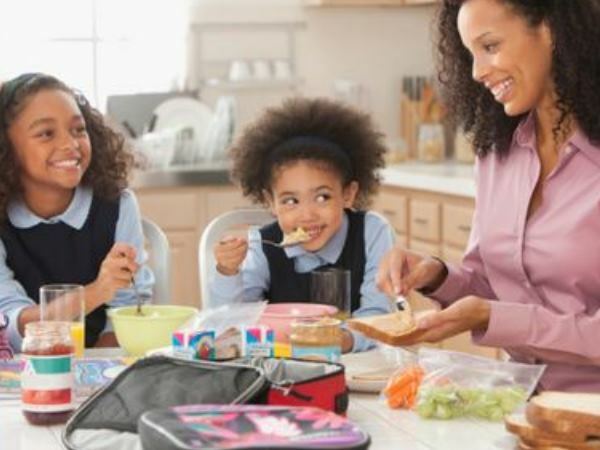 Many parents are hoping to set off on the right foot and establish a routine for their children to help prevent chaos at home and at school. Although routine can be beneficial for children parents musn’t be too rigid about it. Nighttime can be a busy time in a household. That’s why experts say it’s important that activities take place at the same time every night so children learn there’s no way to get out of having a bath or doing homework. But it’s important for children to learn to go to bed at the same time every night. This leads to healthy sleep patterns and enables parents to ensure their children are getting enough sleep. At night children should be made to prepare for the next day. Let children lay out the clothes they will wear the next day and pack their school bags. “This reduces confusion in the morning when everyone is rushing to get ready,” Retha says. Although routine can be beneficial for children parents musn’t be too rigid about it. “Children must also be given time to play and enjoy themselves. This helps with their physical development, imagination and ability to socialise. Educationists say a routine can be established at a young age. “As a parent you’re completely in control of your baby’s life. Use this power to your advantage. Time is an important factor here. Extend the time between feeds by a few minutes with every feed and gradually your baby will learn to go longer and longer between feeds. Before long you’ll be able to have a full night’s sleep,” Retha says.